Supported with immense technical expertise, we are engaged in offering the superior-quality Rice Husk Gasifier. This husk gasifier is used to produce electrical energy and inflammable gases which can be used in different industrial purposes. Offered husk gasifier is a system in which rice husk, wood refuse & saw dust. 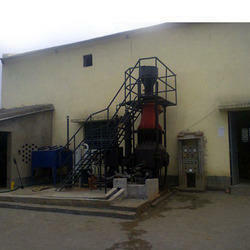 Agro Power Gasification Plant Pvt. Ltd.